The 6th Annual Sarah Vaughan Vocal Jazz Competition is now open for entries, with a 1st prize of $5,000 and an offer to record an album with the Concord Music Group. Last year, London-based vocalist Deelee Dube (pictured above) scooped the top prize. Also offered are a second prize of $1500 and a third prize of $500. The competition is open to solo vocalists of all nationalities who are not signed to a major record label and, for the first time this year, both men and women. Singers will be judged on vocal quality, musicality, technique, performance, individuality, artistic interpretation and ability to swing; winner will receive a Concord Record deal. 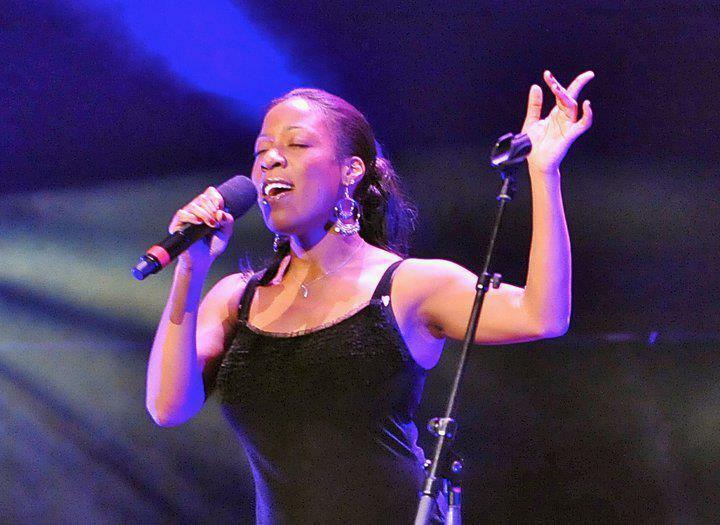 Now in its 6th year, The Sarah Vaughan International Jazz Competition, also known as the SASSY Awards, honors the talent and tradition of the competition’s namesake as the only international jazz competition of its kind, providing a platform for one outstanding jazz singer to launch a career within the music business. Previous winners include Jazzmeia Horn (2013) who also was the 2015 winner of the Thelonious Monk Competition, and Cyrille Aimee (2012), the first-ever winner of the competition, whose major label debut in August 2014 was called “a bravura turn, presented with a smile” by The New York Times. This year's judges are Gary Walker, Vanessa Rubin, T.S Monk, Will Downing and Ann Hampton Callaway. Entries will be accepted until September 5th. For full information and to apply, visit the Sarah Vaughan Vocal Jazz Competition website.